With about 210,000 units sold around the world since its launch in 2010 – including about 11,000 units locally – ASX* has proved to be a global success for Mitsubishi Motors Corporation (MMC), as well as a successful embodiment of the innovative and versatile MMC-engineered Project Global architecture**. Building on this solid foundation, Mitsubishi Motors today staged the world debut of a new look version of its compact crossover at the 2012 New York International Auto Show. To be launched in Australia later this year, this latest ASX sports a reshaped front face whose softer outline reflects the gradual transformation of Mitsubishi’s design language and visual identity towards a “Solid – Safe – Simple” engineering-driven look. Likewise, the rear bumper has been updated to complement the redesigned front face. Detailed Australian specifications will be announced at a later stage, closer to market introduction. Mitsubishi Motors Australia Limited (MMAL) ended the first quarter of 2012 on a high note registering an all-time March record for imported vehicles with 6,007 units. The stand out performer in March was Triton 4×4, retailing 1,186 units and strengthening its place as Australia’s third best-selling utility in a highly competitive segment. Triton 4×2 came in at 535 units, also taking third spot in its respective segment. Overall MMAL’s SUVs performed extremely well, with total SUV sales of 2,470.Pajero was the strongest performer in March with 638 units, a massive 58.3 percent increase over the March 2011 result. This growth was almost three times greater than the SUV Medium segment which increased by 20.6 per cent for the month. Challenger also ended the month strongly with 202 units, a healthy 14.8 percent jump over the same month in 2011. The city-sized ASX enjoyed its best ever result since launch with 748 units while Outlander recorded a respectable 882 units, more than 24 per cent up on March 2011. Vice-president of sales, Anthony Casey, said the strong March result, particularly in SUVs, was a reflection of MMAL’s commitment to responding to consumer needs. “Mitsubishi is committed to sustainable, consistent growth, and with an exciting range of products coming to the Australian market during 2012-13 we are confident of growing the Mitsubishi brand well into the future,” he said. Year-to-date, MMAL has recorded 15,739 units, a 2.8 per cent increase on 2011’s first quarter results. Mitsubishi Motors Australia Limited (MMAL) has announced the winners of its annual service skills competition, held recently at the company’s South Australian head office. Queensland claimed a double win with the Mitsubishi Technician of the Year title going to Rod Howes from Blue Ribbon Mitsubishi, Ipswich, while Carla Smith from Len Patti Mitsubishi, Toowoomba, took out Mitsubishi’s Service Advisor of the Year. The announcement came following a full program of tough testing throughout 2011, with more than 800 Mitsubishi service staff competing across a range of events. MMAL’s National Service Manager, David Budden, was impressed with the extensive knowledge shown by all contestants in the final competition saying he believes the service skills competition plays an important role in continually lifting the standard of service for Mitsubishi’s customers. “All contestants performed to the highest standard and showed great knowledge in their respective fields.This competition allows individual technicians and service advisors to improve their diagnostic and customer service skills, while recognisingthose who strive to reach their maximum potential,” Mr Budden said. Technician of the Year, Rod Howes, was up against tough competition but managed to keep his cool to take the title. “The other competitors were great, so it was tough going especially dealing with the extra pressure of time limits to complete each section,” he said. Carla Smith claimed back-to-back Service Advisor of the Year titles, drawing on her experience in the competition to outperform the other participants. “It was good to compete again this year although it’s always hard to perform your best under pressure and in a different environment,” she said. The annual Mitsubishi Service Skills Program began in 1999 and recognisesexcellence in customer service and technical expertise across Mitsubishi’s national network of more than 200 dealerships. 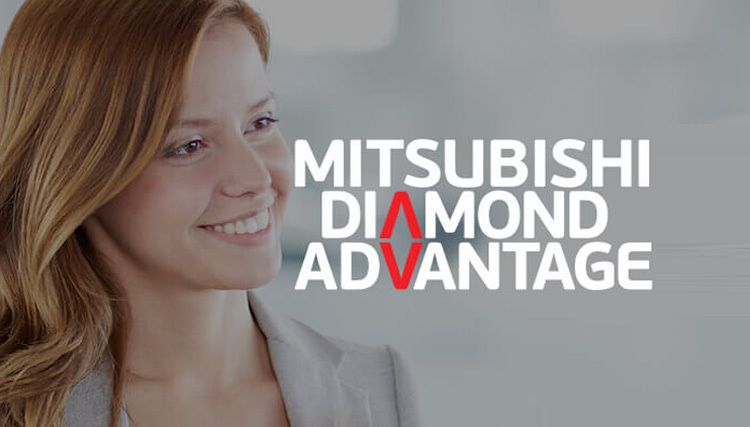 The program promotes and develops Mitsubishi service staff and helps to increase customer satisfaction, reduce warranty costs, improve product knowledge for staff, and encourage efficient work practices across Mitsubishi dealerships nationally. Competitors were strong in both categories, with a total of 265 service advisors and 579 technicians taking up the challenge. After nation-wide preliminary testing and regional qualifiers, the top five technicians and service advisors travelled to Adelaide to decide one national winner for each category. The technician finalists faced five practical tests on vehicles and engines across the Mitsubishi range, with only a limited time at each station to diagnose a problem. Under pressure to correctly identify any issues, all contestants performed well displaying a broad range of technical skills and comprehensive product knowledge. Customer service role-play put service advisors through their paces, with scenarios that ensured their skills were put to the test. Although they were inundated with “customer” enquiries and demands, each finalist was polite, helpful and professional at all times. MMAL’s Service Improvement Coordinator, Stephen Robinson, said the event was a great success and encouraged all participants to take part in the next program. “I would like to extend my congratulations to this year’s winners, and thank all participants for their hard work and dedication in the 2011 Mitsubishi Service Skills Program,” Mr Robinson said. Mitsubishi’s 200-plus national dealer network provides excellent servicing standards for all of the company’s passenger and commercial vehicles. Bangkok – Mitsubishi Motors Corporation (MMC) today announced it will sell its all-new Mirage “global compact car” in Thailand starting from 28 March 2012. The Mirage is a “global compact car” developed under a revolutionary concept thatfulfils the needs of both fast-growing emerging markets as an entry-level car and the eco-conscious advanced markets with its superior environmental performance. The Mirage will be made at a brand-new third factory at Mitsubishi Motors Thailand’s (MMTh) Laem Chabang Plant; the largest MMC plant outside of Japan. The Mirage will first be sold in Thailand, followed by ASEAN countries, Japan, Europe, then expand to other markets successively. – Delivers fuel efficiency and low CO2 emissions that are among the best in its class thanks to the all-new MIVEC*1 engine and thoroughly reduced aerodynamic resistance and rolling resistance. – Provides nimble handling inherent to a compact car while utilising high-efficiency packaging to maintain interior space for five adults. – Optimisation of the body structure and more extensive use of high-tensile strength panel make the vehicle some seven percent*2 lighter than is normal for its class, contributing to better fuel economy. The Mirage uses Mitsubishi’s impact-resistant RISE*3 body, which absorbs and distributes impact force to deliver high levels of occupant safety.High level of quality achieved through MMDS (Mitsubishi Motors Development System), a comprehensive quality management system that sets and assesses/evaluates the achievement of specific performance benchmarks within each stage of operations from vehicle planning, sales and after-sales services, and MMPW (Mitsubishi Motors Production Way), a unified global quality assurance framework. – In addition, prior to production, MMC have stationed experienced inspectors from its Japanese factories in Thailand to inspect manufactured units at the new third factory in order to make sure that the same quality standards from its Japanese factories are reached. *2 Weight ratio calculated by applying ratio of high-tensile steel used in the Colt to the Mirage. The Thai-market Mirage will be equipped with a 1.2L MIVEC engine that delivers fuel efficiency of 22km/L*4, among the best in its class, and above the Thai government’s requirements for “eco-car” certification*5. The Thai-market Mirage will be priced between THB 380,000 to 551,000 depending on trim level, and plans are to sell 2,500 units per month in Thailand. *4: Calculated internally using ECE R101 Rev.01 Combine Mode. *5: Qualifications: based on European calculation methods, more that 5L/100KM(20km/L), reach EURO4 exhaust gas regulations, invest THB5 billion into production in Thailand, and produce 100,000 units per year after the fifth year of production. MMC announced its JUMP 2013 three-year business plan in January 2011, and one of the pillars of the plan calls for putting operating resources into emerging markets. Among “emerging markets,” MMC puts particular emphasis on strengthening its operating base in the ASEAN region. The production and worldwide export of the Mirage from Thailand is an important tactic that embodies this strategy. Moving forward, MMC will continue to aggressively bolster its operations in high-potential emerging markets.